When I was growing up my family took one vacation every year in August for 2 weeks. It wasn’t exotic, the location never changed, and to some it may seem rather un-extrodinary, but to me it was paradise- and it came in the form of a small log cabin in the northern most woods of Minnesota. Nestled beside the boundary waters, it was where I had precious time to lose contact with the world, escape city fumes, and get as close as possible to nature and its gifts. 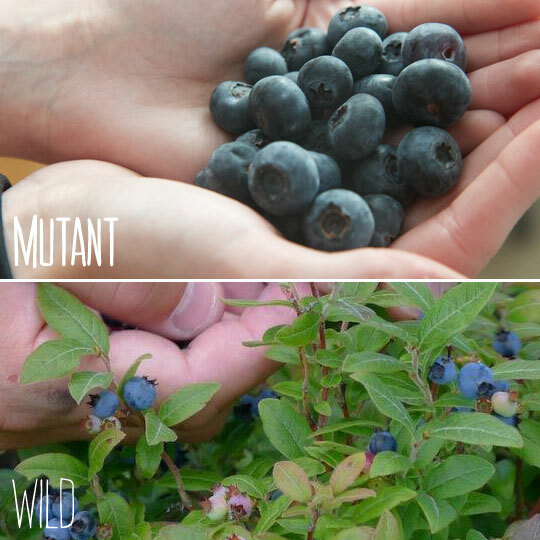 One of my fondest memories is of picking the wild blueberries that grew rampant up there, popping handfuls of the sweet little gems straight into my mouth even though I was supposed to be gathering them. These precious berries were very small, very dark, and bursting with flavor. None of them looked perfect, none impressively huge, they were all different sizes, some had a dent or a bruise-but they were all still delicious. Coming home, I found myself unable to eat the big, bland, blueberries sold at the grocery store. 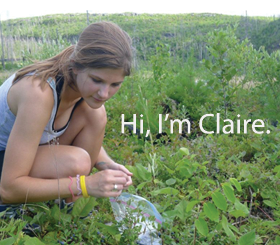 I do every now and then-but none compare to the wild blueberries that stole my heart when I was just a wee tot. Over the years I’ve found myself wondering at our obsession with “perfect” fruit (veggies too.) The majority of us know that they aren’t grown naturally; we know they spray some nasty things on them, and we know they don’t taste nearly as good as their natural counterparts. We also have a twisted idea of what good produce should look like. No marks, no dents, no weird shapes-a bruised peach, a crooked carrot, an apple with a blemish or two, all will get passed over and wasted. Personally, I find the sight of an incredibly fat, perfectly round apple with glistening shiny red skin much less appealing than one grown in an orchard, with all of its little quirks. Sadly, access to local or organic fruit is either hard to come by or marked with such a high price tag that people just shake their heads, though in the long run, the price we pay for “perfect” food will be much higher. We could all list about hundred things wrong with how people view and treat their food, we could talk about the detrimental health and environmental effects harvesting produce with chemicals until the cows come home, but that’s nothing new. What we need now is not more information, but more action, and those of us at Everyday Roots find the idea of taking action in the form of creating community gardens a delightful, healthful, thing to pursue in so many ways. A community garden can come in a variety of forms but, for an example, in Britain the standard set up is an allotment garden, where tracts of land owned by the local government are divided up into smaller plots. Those smaller plots are leased to families and individuals for a modest rental fee to grow their own fruits and veggies, and the local government keeps a close eye on how well they’re maintained. That’s just one way to go about community gardens though-one could even be as informal as a neighborhood getting together and dedicating part of a public park to a community garden. Some of the few in the US are created in vacant downtown areas and create a strong sense of community spirit. The allotment gardens in Britain go back more than 150 years, created to empower people with low incomes to improve the quality of their lives, their health, and their diet by growing their own food. During the 2nd world war allotments proved their extraordinary worth, with their popularity gaining as people responded to Britain’s “Dig for Victory” demand for self-sufficiency. During “Dig for Victory” all town gardens, even those at Buckingham Palace, were turned into mini-farms. During that time, one and a half million allotments were cultivated, and 1.3 million tons of food was grown on 1.4 million plots every year. Today, the British still cherish their community gardens, and reap their many benefits. 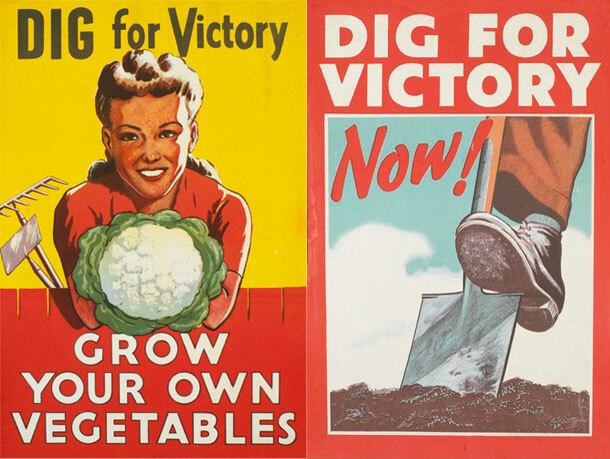 The U.S. also had its own “Dig for Victory” campaign, although the effects did not last like they did in Britain. This is because when the war ended people expected produce to be more readily available, however, the U.K still experienced a food shortage. Imagine if every neighborhood had a community garden-even if it was just a single piece of land gardened collectively by a group of people. Even if it’s as simple as a small herb garden it would bring people together and, of course, provide us with wholesome foods. It would add green space and it would, perhaps more importantly than anything else, spread inspiration, knowledge, and awareness to others. Plenty of people enjoy gardens in their own yards, but community gardens would foster a healthy community spirit, provide social benefits, health benefits from growing one’s own food free from chemicals, and ecological benefits by cutting down on reducing food transportation. In the US we’re starting to warm up to the idea-with some schools have even started planting their own gardens to provide their own produce. Everyday Roots has an awesome community, and we want to know-what do you think? 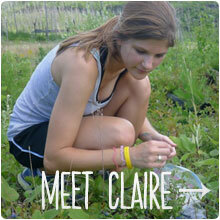 Is a community garden something that you would stand behind where you live? Do you think it would impact what people view as “good” produce? Do you think it would make a difference one way or another? We think a modern day “Dig for Victory” would be awesome. There might be a day when, even if people continue to accept chemical laden food, we no longer have access to it. Share your thoughts! Your thoughts on community garden is amazing. I am from India, not only in the US but in all over the world we have the same problem of mutant fruits and vegetables. Some people in our villages do have their own gardens, but now a days in cities with the country growing and people wanting to be modernized live in apartments, owning a garden even a small patch is impossible. 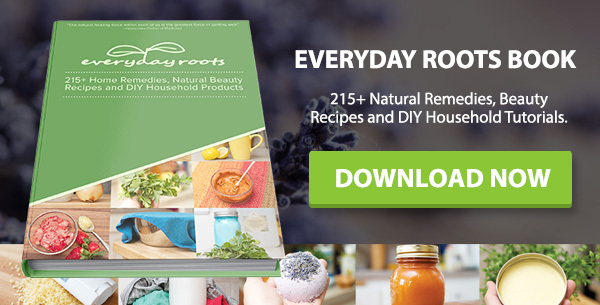 We need more people like EverydayRoots. Hope everything changes to organic soon, then we wont have such a high cancer rate :(…….. 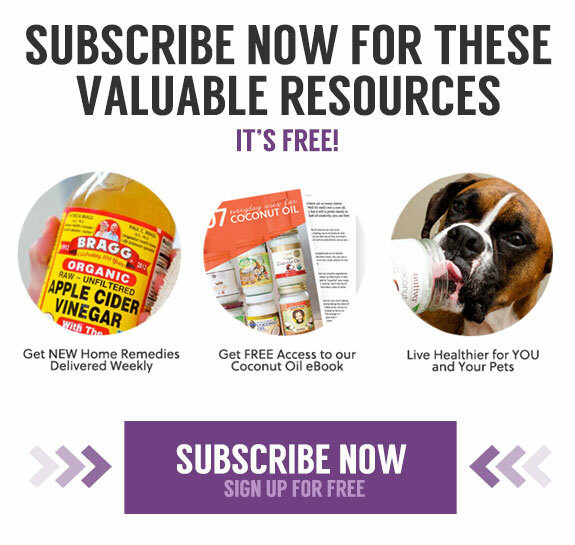 I love your website, the tips and recipes for organic things are very helpful. Thank you so much. Hi Meena, I empathize with your thoughts/concerns, I really do. However, one does have to look at the larger picture here…more and more kids are becoming robotic in nature, this is attributed to their (lack) of education – real education I mean. The governments of this world and all their minions want us to live in high-rise hell holes, obviously we are easier to control. They spray the skies with nuclear waste, in order to poison our water/soil, does this give one the feeling of uselessness? I personally feel pretty useless because of the sheer number of government shills/provocateurs all willing to cause pain and unrest amongst the populace. Although I grow my own organic vegetables and fruit, I’ve noticed a change in their overall taste/structure, it cannot be helped as everything is being poisoned slowly but surely. My dream is to have a world where not one living organism starves or becomes ill, we all live in peace and harmony, sharing the fruits of our labors. No more governments period! Was the cabin on camp grounds? If so, I would love to know where I’m looking to take our family camping.